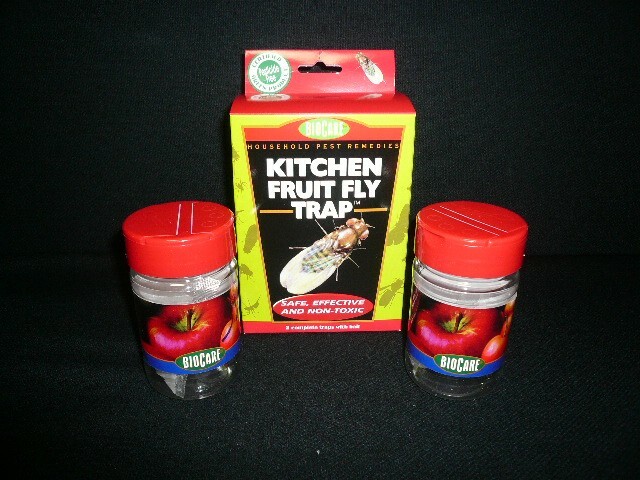 PRODUCT DESCRIPTION: Two decorative, inconspicuous traps designed to discreetly capture the fruit flies that contaminate fruits & vegetables in your home. The dead flies remain out of sight inside the decorative container, which is similar in appearance to a spice jar and blends in with kitchen or dining room decor. 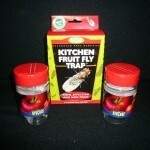 The lure that comes with these traps gives off a mild, pleasant, fruity odor that attracts fruit flies into the disposable jar where they become trapped and drown. WHERE TO USE IT: Use trap near fruit bowls, indoor garbage cans or those places where kitchen scraps are kept. Lures are effective for 2-4 weeks under normal conditions. Completely safe for use around food products.